“If Anyone Falls in Love,” and “Stop Draggin’ My Heart Around” (which brought back out Chrissie Hynde, this time decked out in a Broncos jersey) were more than enough to raise the entire Pepsi Center to their feet to celebrate through dancing. The old hits are always wonderful, however, this tour being in support of a release of forgotten tunes, you could guess she played a good amount of songs that had never been memorized, and in some cases, even heard. “Belle Fleur,” like many others of the set-list, inspired a lengthy background story from Nicks, explaining the origin and why it never made it to record. The added anecdote to each track as she went down the reasons and happenstances that can occur in the industry accrued a sense of intimacy between the crowd and the artist – it felt as though she was sharing her personal journals with us. “Dreams,” of course, earned an excessive (yet necessary) mass phone recordings and perhaps the first real sing-a-long of the night. 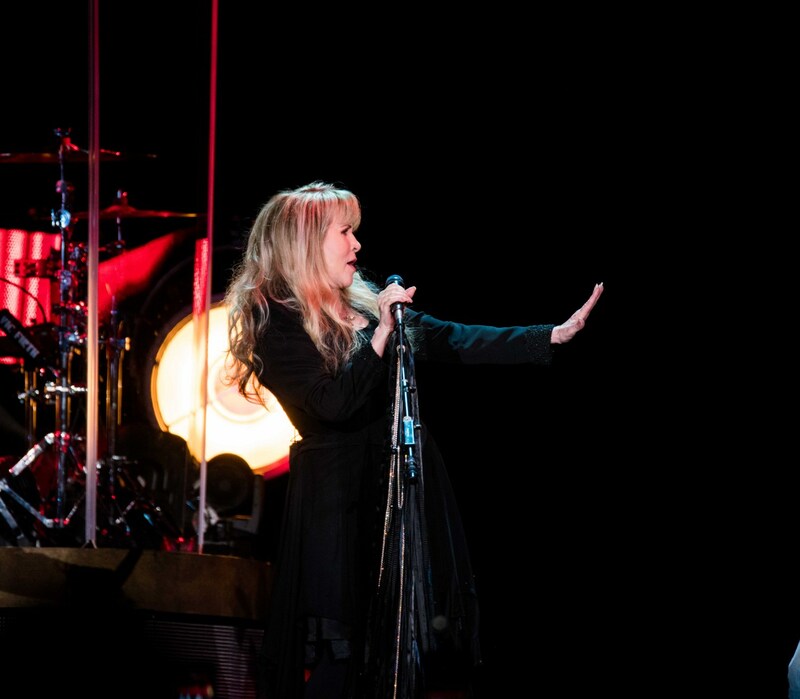 “My Belladonna,” “Annabel Lee” and “New Orleans” grooved the second half of the icon’s set, and with each passing track, Nicks explained more and more of the backstories of how things came to be for her. The many whimsical outfits, obviously inspired by Nicks’ style, twirled to the music that the band rocked out, some new some old and some unreleased. After announcing her band, Nicks dropped the inevitable bomb on her audience with a banging “Edge of Seventeen.” All the way from the familiar rift at the beginning to the last of the hit, everyone in attendance sang along and were dancing out of their seats. Nicks thanked those whole-heartedly as she left the stage, mentioning that she used to live in Denver. After a brief moment, the artist returned to play “Rhiannon” and “Leather and Lace.” Two imperative songs for the evening rocked the rowdy crowd to an ease, ensuring at least most of the needs of her fans had been met. As Nicks embarks on this large tour ahead of her, she has left a piece of herself in Denver, one that she will hopefully return for again and again for the rest her never-ending-vampire-blood-fueled existence.